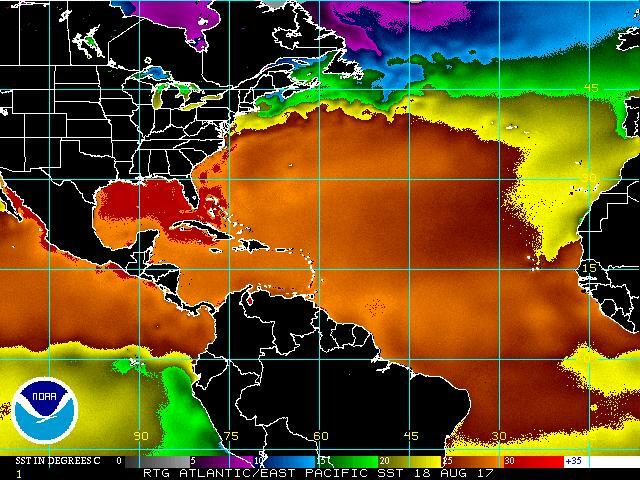 Hurricane Alley is active in the Atlantic! Tropical cyclone activity continues in the Pacific Ocean. Today 17 August there are two strong, and strengthening, typhoons GONI and ATSANI in the far northwestern Pacific aiming in the general direction of Taiwan and Southern Japan. This raises the possibility that a region that has been battered continuously in 2015, as recently as a couple of weeks ago, may be in for another strong impact over the next few days. Also in the Pacific, but in its eastern confines there is Tropical depression ELEVEN some 1,000 kilometers west of the peninsula of Baja California in Mexico. Worthy of notice today as well is strong tropical wave moving westward along Hurricane Alley in the Atlantic, some 1000 kilometers southwest of the Cape Verde Islands, which is showing signs of getting organized and perhaps developing into a tropical cyclone over the next 48 – 72 hours. 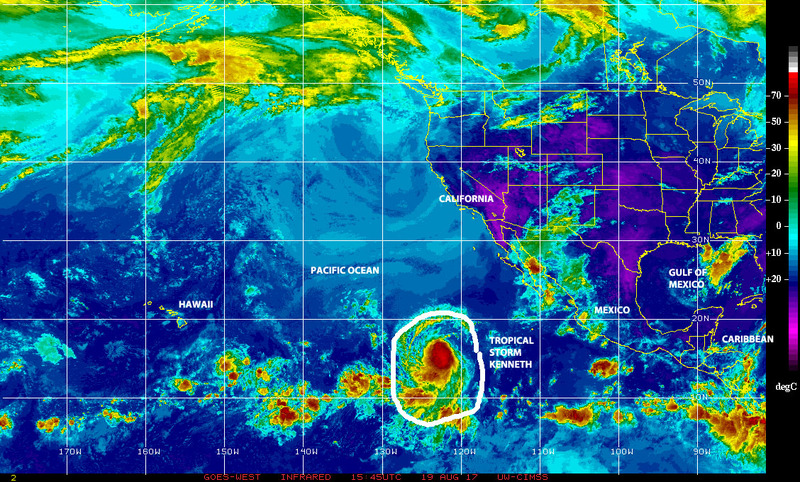 Could this be the genesis of DANNY, the fourth named storm of the 2015 Atlantic Hurricane Season? Despite an early start of the 2015 season, the Atlantic basin has remained rather quite under the influence of a strengthening El Niño off the Pacific coast of South America. 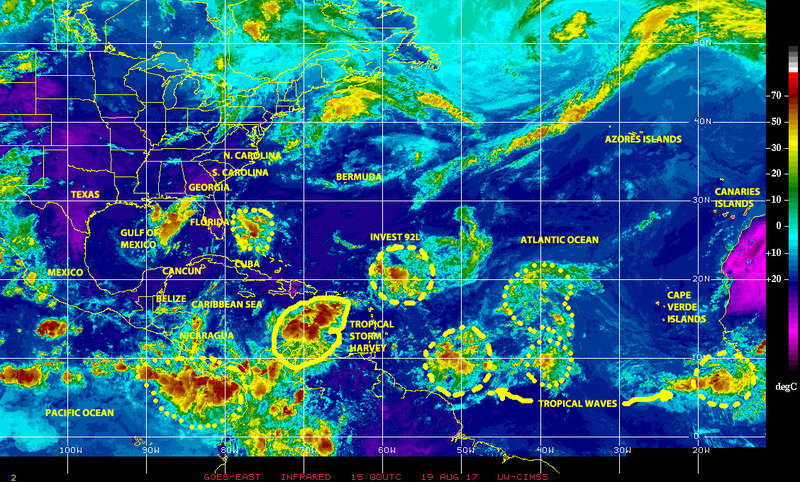 Today, however, in addition to this tropical wave moving west along Hurricane Alley toward the Lesser Antilles, there is a train of tropical waves over equatorial Africa progressing toward the eastern Atlantic that may be the seeds for future cyclonic activity, just as we approach the historical peak of the annual Atlantic hurricane season. Only time will tell i we are witnessing the gestation of DANNY over the Atlantic, or if any of the tropical waves riding behind will develop into a tropical cyclone, but in the meantime all interest in the Caribbean, the Gulf, and in Florida will do well to pay attention, remain alert, be prepared, and continue to practice mitigation!